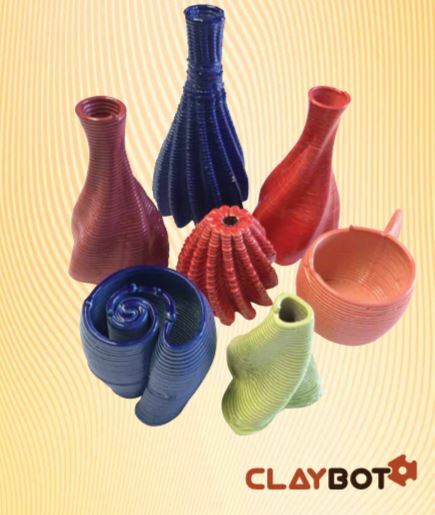 Schools: Trial Clay 3D Printers FREE for 6 Weeks! 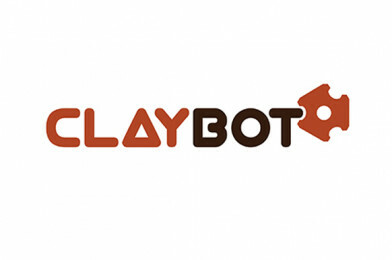 Claybot are offering schools the opportunity to try their 3D clay printers, FREE for six weeks! The 3D clay printer is provided with full training to the relevant member of staff in school. Example 3D computer-models are provided to begin with and our Vase Creator offers a simple and fast introduction to model design. Technical details – The 3D clay printer has a footprint of 550 x 350mm and a total height with the cartridge loaded of 1235mm. Installation: There are no special requirements. The equipment is delivered to school and carried in by hand at a time convenient to you. What is by far the most time friendly 3D printer that can be used in schools? “3D printers come with a variety of issues: not least such issues as how much time it takes to produce an object, the design merits and functionality of the products produced, and the environmental impact. To be clear, there is absolutely no obligation to buy. We’ve already installed them in several schools, and now we have ten more machines ready to be used in our second phase of free trials. We deliver at the start, and collect at the end. All you have to do is agree to take a machine for six weeks, and use it with pupils and/or students in your school. Then at the end of the trial let us know how you got on.